Thanks to YOU and y’all PESTERING this DOCTOR DIAZ…I FINALLY, after a YEAR of being BLIND in my right eye, GOT MY EYE SURGERY TODAY! Then the BOP LIED to the court and told them he had his surgery on March 12, and HID all the discovery records from the court about the doctor writing letters that this was an emergency or he could go blind Typical. SInce nobody cares about me…I just had to file complaints…. NO ONE that has EVER interacted with ANY Govt. bureaucracy thinks they should be allowed to DO ANYTHING! Yet we want them to educate our kids, and take over health CARE…and they can’t even deliver the MAIL right! So…Even though you could just walk out of here at any time…they are all afraid you are going to ESCAPE! So we had HAMBURGERS at 10.30pm….then got the surprise call that Ron and I were BOTH supposed to be FULLY DRESSED in snappy green monkey suits…and standing out front at NOON! Where 2 guards, making overtime at $50 an hour took us over to Dr. DIAZ, who has an 8 out of 10 rating for this type of surgery and people come from all over the country to see him. But the nurses were horrified…because we were not supposed to EAT OR DRINK before all this…and we were supposed to get special eye drops the night before, and we were of course told NOTHING and NOTHING was done for us…AT ALL! So they gave us gigantic black SPACE GOGGLES, but did NOT have the special eye drops for the pain…so who knows how long we have to wait to get them from the “PHARM-A-CEE” here! So now I have a single plastic goggle monocle taped over my right eye….I am weeping like I just saw them shoot OLD YELLER, and I feel like SAMSON and the Philistines are going at me with a hot poker! This is the MYSTERY number of the SKULL AND BONES Society…and a LOT happened on 322 this year…. You have the final release of the Mueller Report which found NO COLLUSION with the Russians by anyone in the TRUMP CAMPAIGN. Now, ironically, the Demon-rats are screaming “OBSTRUCTION! OBSTRUCTION!” but HOW can you OBSTRUCT JUSTICE for a CRIME that NEVER HAPPENED? The evil Deep State DOJ wants you to believe that claiming the 5th is now OBSTRUCTION OF THEIR JUSTICE! And so many people that were unjustly harmed, and accused, and damaged, LIKE I HAVE BEEN, are now saying, “Well that’s just GREAT! All a HOAX! Now…how do I get my reputation back?” And in my case…how do I get my LIFE BACK and the YEARS they have STOLEN from me with their CRIMES against me?? Trump has also surrounded himself with “BONESMEN”, members of Skull and Bones Society, like Treasury Sec. and former Hollywood mogul and producer Steve “Suicide Squad” Mnuchin. A ring of these Bonesmen are now protecting Trump from his enemies. NOT just COINCIDENCE! AND…this same day, 322— Sec. of State Mike Pompeo was in ISRAEL, making it official that the US was going to secede the illegally ceased Golan Heights to Israel. But Mike was also given a SPECIAL TOUR, where he was shown the full scale mock-up of the THE THIRD TEMPLE OF SOLOMON that the Jews are ready and rarin’ to build, but first they have to either destroy the Al Aqsa Mosque sitting on the Temple Mount, or have it destroyed by an earthquake…or adhere to the theory that the Temple went NORTH and not EAST from its believed current location. ALSO, a mysterious chamber underground has been found that many believe houses THE TOMB OF DAVID, and the long lost ARK OF THE COVENANT! So the THIRD TEMPLE PROPHECIES before the FINAL “END TIMES” Are all falling into place!! This is the 70th year since “The JEWS RETURNED TO ZION” and formed the Israeli State…and Biblical Prophecy runs in 30, 40 and 70 year “generational” periods…so I told you that momentous things would be happening there THIS YEAR. WAIT AND SEE! And LAST BUT NOT LEAST…In MARCH, 2018, a YEAR AGO this month, I was BLINDED in my right eye for what they told me was “macular degeneration” but did not tell me that I would need a second operation to clear a cataract and now replace the LENS in my eye. As a part of my eye was “killed” due to lack of oxygen from the operation. So for a YEAR could see NOTHING out of my right eye! LIKE ODIN hanging on the Yggedersil tree whose right eye was plucked out by ravens to give him the gift of prophecy. So all this information has been overloading the RIGHT SIDE of my brain…amping my PSY POWERS thru the proverbial ROOF…and all I can do is readings for the inmates, which has made me respected, feared and ridiculed as “THE VOO DOO MAN!” BOOGA BOOGA! Everyone is afraid I will turn them into NEWTS! They tell me that it will cure my vision in that eye for GOOD! And that I will go back to 20/20 again! HALLELUJAHS AND PRAISE THE LORD!! Just in TIME for the 9th Circuit Court to finally RULE on my UNOPPOSED and UNCONTESTED MOTIONS for EXONERATION AND RELEASE! PS: Look for my latest AUDIO BLAST BLOG with Kerry Cassidy on www.ProjectCamelot.org. Saint Patrick was originally Welsh and was kidnapped by pirates from the coastal town where he lived and sold into slavery which is how he came to be in Ireland. But his miraculous conversion to Christianity made him take on the various pagan serpent cults, which is why they say he chased the snakes out of Ireland. And Ireland HAS NO SNAKES…whereas England is FULL OF THEM…mostly serving in Parliament. St. Patrick should probably be the patron saint of Federal Prisons, since they make us all wear these dark green monkey suits here. So nobody is getting pinched today! St. Patrick’s Day also commemorates the death of St. Gertrude who was the remarkable woman who became the patron saint of CATS…mostly because they had a rat and mouse problem in her nunnery and in the adjacent town. Just remember that what brought on the BLACK DEATH was ignorant Europeans believed CATS to be the familiars of WITCHES and so murdered them all…which then brought the RATS and the MICE which carried the FLEAS that brought on the plague. Cats are also believed to keep away GHOSTS and EVIL SPIRITS as they also patrol the astral plane between worlds…which might be why they SLEEP all the time! Oddly enough, Fairies, the Faire Folk and Leprechauns were believed to have not chosen a SIDE in the Angelic war when Lucifer fell, so they are trapped here on Earth in Limbo between worlds, which is why their behavior is so capricious and are sometimes good and sometimes bad. My grandmother, Ruth O’Day Morton Croft was from BLARNEY in Cork County, Ireland. My great uncle was DANNY O’DAY, a famed Irish Tenor that made his rendition of DANNY BOY Ireland’s NATIONAL ANTHEM. My mother’s maiden name was KENNEDY (which means, oddly enough, WOUNDED HEAD!) so we are somehow related to all the “Royal” Kennedy’s down the line…and the rest of me is Austrian Royalty, as my great uncle is a Baron in Austria…not that that means anything anymore…but good genes! I was voted DISC JOCKEY OF THE YEAR in 1987 for the entire Houlian’s Chain for doing the promotion…which I think is out of business now, because people don’t actually go OUT anywhere to have fun and dance and sing anymore! 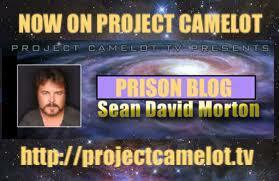 I will also FINALLY be on on KERRY CASSIDY’S PROJECT CAMELOT PROGRAM for a 15min. blast on Wednesday March 20th at 11 AM…so tune in or check her website. BIG NEWS on all fronts…GOD BLESS HER! So ERIN GO BRAGH me darling ACHUSHLAS! Drink a green beer for me, Kiss someone Irish on the MOUTH and make those IRISH EYES SMILE! TIP O’ The Hat and the Luck of the IRISH ta ye ALL!